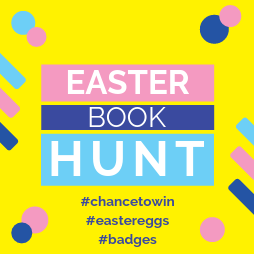 Join us in the iCentre in Week 10 for our Easter Book Hunt and the chance to win prizes including Easter eggs and badges! Ask at the iCentre circulation desk for the ‘Easter Book Hunt’ clues. Complete the answers during break 1 or 2 that day. Return it to the circulation desk. If the answers are all correct, collect your prize of Easter eggs and badges.